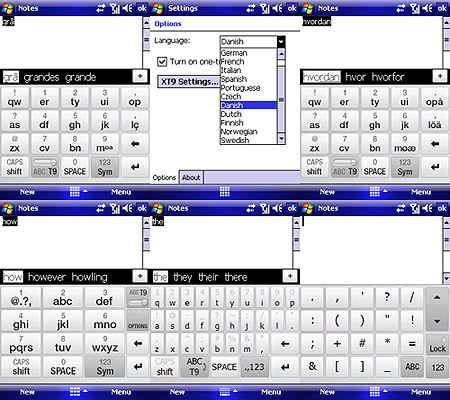 HTC Touch Diamond Keyboards freeware for Windows Mobile Phone. Summary: This is a port of the HTC Touch Diamond keyboard and keypad for all HTC devices. 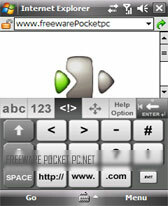 This is a port of the HTC Touch Diamond keyboard and keypad for all HTC devices. 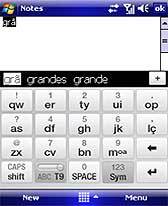 It supports 12 languages and T9 dictionary ! Please install first the gullum_diamond_keys and then your language pack ! In order to Download please visit the XDA-developers forums and register to get your copy ! NO Mobile Friendly DOWNLOAD ! dont have to sign up, just search for ezinput on this site. GREAT keyboard, best i have ever used. definately a must have. I install it, but it don't shows in my phone.WHY? works perfect on my HTC TyTN. great work, i love this keypad when i dont want to open my phone. this is the coolest virtual keypads ever! aside from HTC phones, will it work in other brands?in WM5?i can not type letters in my gigabyte WM5 phone, both in keypad and keyboard mode. TNX! this thing is crap. Can't even uninstall. were do you go from after you download both things to your comp? I have uninstalled the program but the keyboard is still showing up on my input keyboard list. Any idea how to get rid of it? Can someone tell me if there is a Touch Diamond keypad for calling available? I'm sick and tired of my unresponsive HTC Touch keypad. When I dial a number, some of the numbers have to be pressed multiple times to get a response. Also, on IVRs, the keys don't register correctly. For example, I can never do phone banking coz the IVR cannot recognize the key strokes! Please help.